Blueberries and sweet potatoes. In a smoothie. This blueberry sweet potato smoothie tastes kind of like pumpkin pie. And so yummy! Smoothies are a big trend at the moment. Wherever I look on social media, even at the local stores, it seems that everyone is getting on the bandwagon. I don’t usually like smoothies – I prefer to eat my food, rather than drink it. Which is why, I guess, my smoothies when I have them, are pretty thick. Actually, so thick that I can’t drink it through a straw and need a spoon. See here for the other smoothie I make, or here, here and here for chia puddings, which are kind of like smoothies but thick and in a bowl … like this one! 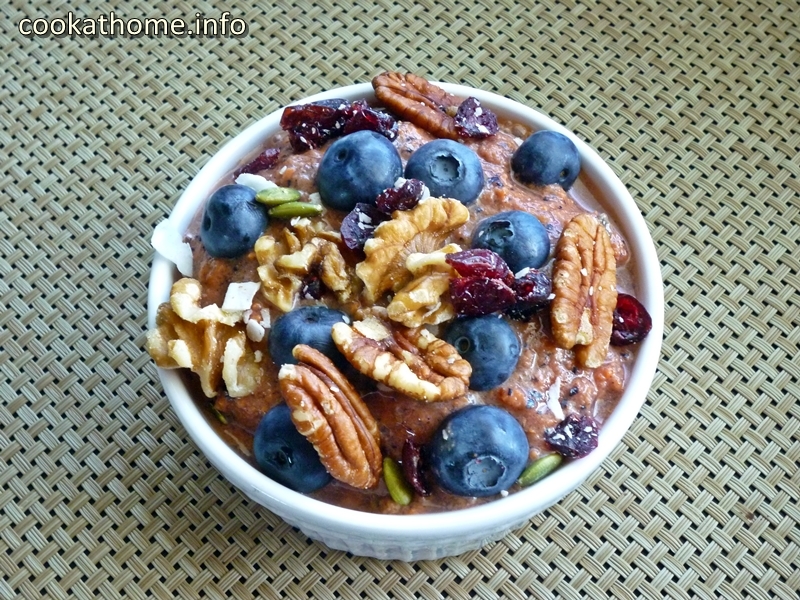 So this blueberry sweet potato smoothie recipe is presented in a bowl. No pretense here about whether or not you can drink it. This is, plain and simple, an awesome smoothie BOWL. Now, if you do prefer to drink your smoothies, just add more milk. Simple! See, it’s a recipe that caters to everyone’s tastes! Win-win! And did I tell you? This kind of tastes like a pumpkin pie. With no pumpkin in it. Or any added sugar. Just the sweetness from the blueberries and sweet potato. That’s it. No strange ingredients. And if you want to up the protein content, just add some protein powder. I’ve used Vital Proteins collagen peptides and unflavored beef gelatin with great success. It makes it even thicker! If you wish to make it even thicker, add some chia seeds. Basically the sky is the limit! Give it a go …! 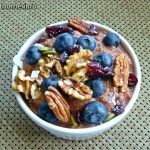 Pour into bowl or glass and top with desired toppings, such as granola, additional blueberries, etc.